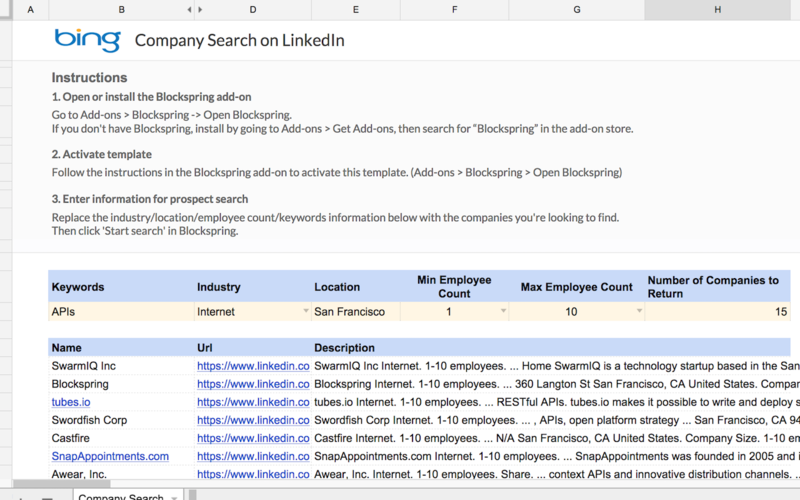 Search for a list of companies on LinkedIn given their industries, employee counts, and locations. Note: Blockspring bundles free Bing requests in its subscription here: https://open.blockspring.com/apps/bing_search_jobs. Each search uses a Bing request. Signing up for Bing gives you 5,000 free searches per month, and you can up your subscription for more.